Getting views on YouTube can be tricky – especially when you’re first starting out. Although users on YouTube watch over a billion hours of video per day, for them to watch your video they first need to be able to find it. That is why it is important to optimize your video for YouTube’s search. If your video can rank higher up on the results when people search for videos, it will start to attract more views. One of the major ranking factors on YouTube is the number of subscribers your channel has, and if you don’t have many then getting ranked on keywords with high competition is going to be difficult. As such you should aim for keywords with lower competition – at least to start out with. The title of your video needs to be optimized for search as well as to attract viewers. It will be the first thing most viewers see of your video, and if it can convince them to click that will help improve your video’s search ranking too. Aside from the title, the most important factor that can convince viewers to click on your video is its thumbnail – which is why you should select one that is as compelling as possible. Ideally you should get your YouTube account verified so that you can upload a thumbnail of your choice, rather than being limited to the 3 automatically generated ones in the Video Manager. Try to write a description that will help both viewers and search engines know what your video is about. The keyword should appear once in the first few words and the description itself should be detailed (about 250 words long at least). Throughout the description the keyword can appear a few more times, while being careful it doesn’t look like spam. The longer people watch your videos on YouTube, the better they’ll rank on its search results – so you need to try to retain more viewers. That means you need to keep them interested for as long as you can, and one of the best ways to do that is to immediately let them know how your video will benefit them then get straight to the point. At the start of your video you should verbalize the keyword in the voiceover – possibly in the first sentence when you let viewers know what your video is about. If you do then YouTube will ‘see’ your keyword when it automatically transcribes your video, and that can carry a lot of weight. Although tags may not be as important to rank as other factors, they do carry some weight and it is important you use them effective. The first tag should always be the keyword that you’re targeting, and after that you can add variations of the keyword or more general tags. If viewers click on the subscribe button after they watch your video, that sends a strong signal to YouTube that they thought your video was good enough to subscribe. It can be a major boost to your search rankings, so you should make it a point to ask people to subscribe – right at the end of the video. Playlists can be a great way to generate additional views for your videos because they will automatically move through every video that is listed. Assuming your videos are have common themes or topics, compile them into playlists and be sure they are included on your YouTube channel. More viewers will mean more time being watched on your videos, more reactions, and possibly more subscriptions. All those things are important especially when you first start out, which is why you should make an extra effort to promote your video on social media, blogs, forums, or other platforms to channel traffic to it. As you can see there are lots of ways you can improve your YouTube SEO, but at the end of the day you need to make sure the videos that you publish are up to scratch. If you want to learn how to make a YouTube video easily, you could try using Movavi Video Editor. It will let you compile video footage and edit it so that it looks impressive. Using the features in Movavi Video Editor will enable you to enhance the quality of your videos, cut and join segments, apply special effects, add captions, insert animated transitions, add audio tracks, and much more. 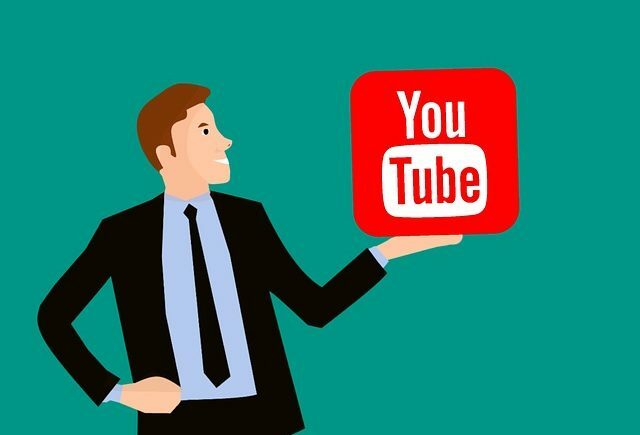 In short you should have everything you need to create compelling YouTube videos that are able to attract the attention of viewers and keep them interested so that they rank better too. ← How to Promote Your Blog Using Social media ?